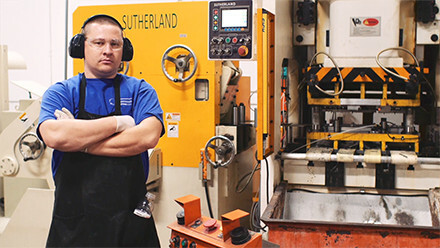 Sutherland’s hot, warm, and cold forge presses are built for the most intensive applications in metal forming, all the way from shaping massive multi-ton parts to hot heading aerospace bolts. 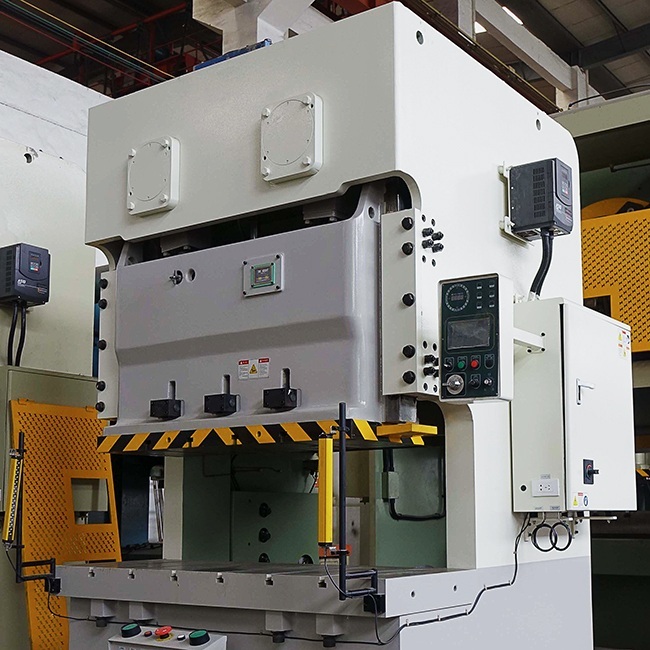 Our wide range of forge presses can incorporate knuckle joint drives, link drives, or hydraulics. 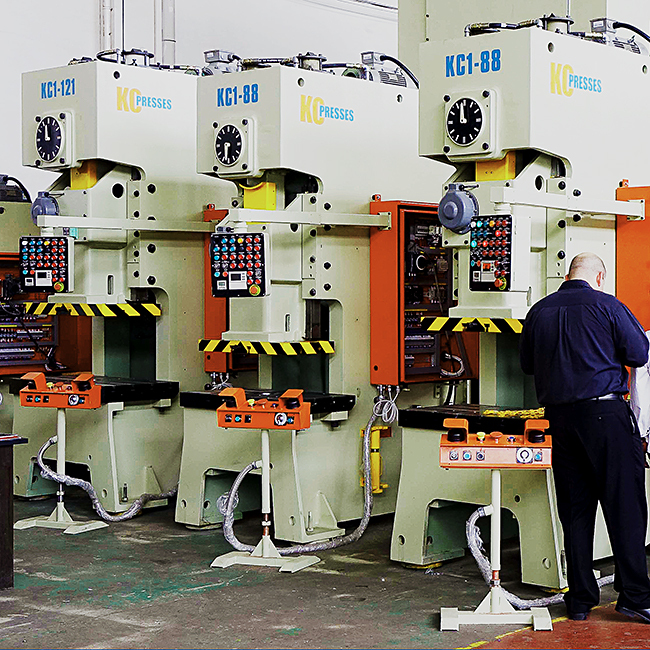 This flexibility allows us to help you consistently achieve the perfect press production stroke for your most demanding jobs. 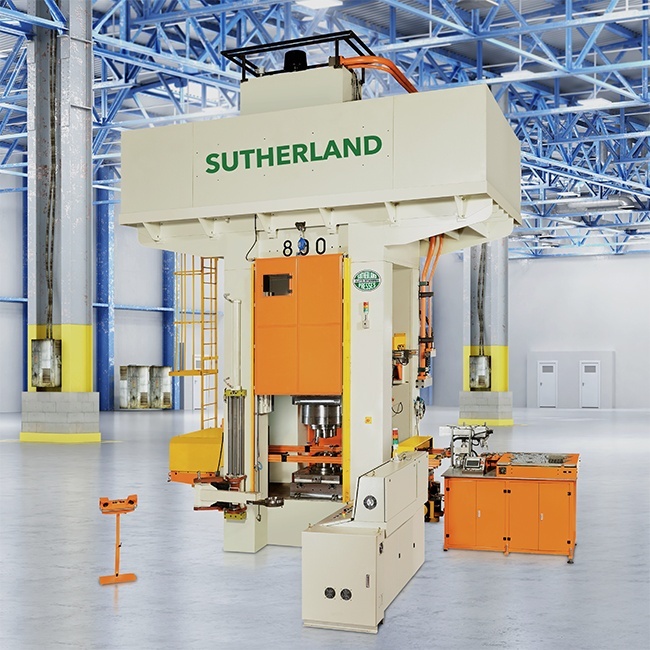 Sutherland Hot Forge Presses are manufactured in a state-of-the-art facility, adhering to the most rigid manufacturing standards, with models available in tonnages up to 2500 tons. 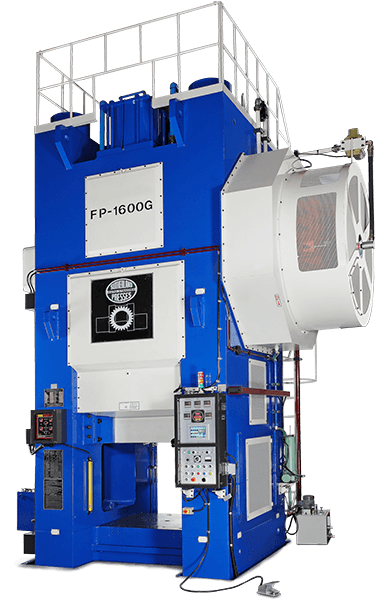 Our Forge Presses are built to last, utilizing heavy duty heat-treated/stress-relieved frames, massive pitman arms, and eccentric shafts rated at 200% overload. 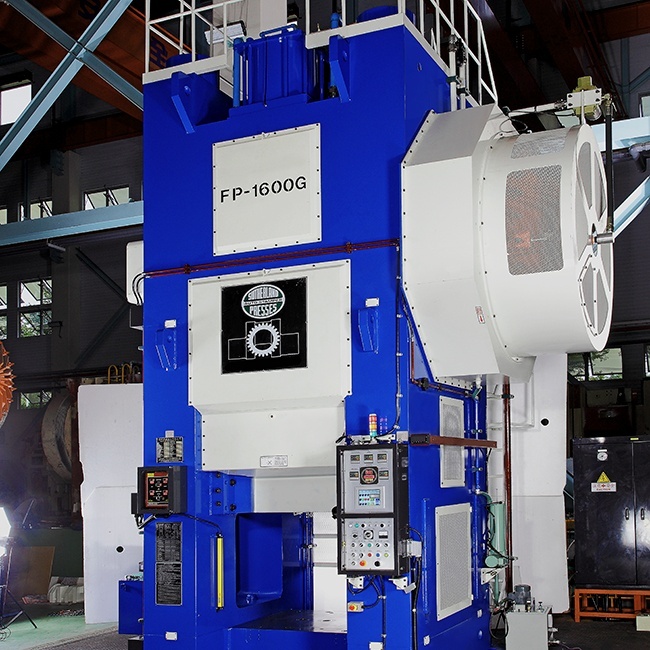 Our KNP Line of Heavy Duty Cold Forge Presses are available in a range from 440 ton to 1000 ton capacity. 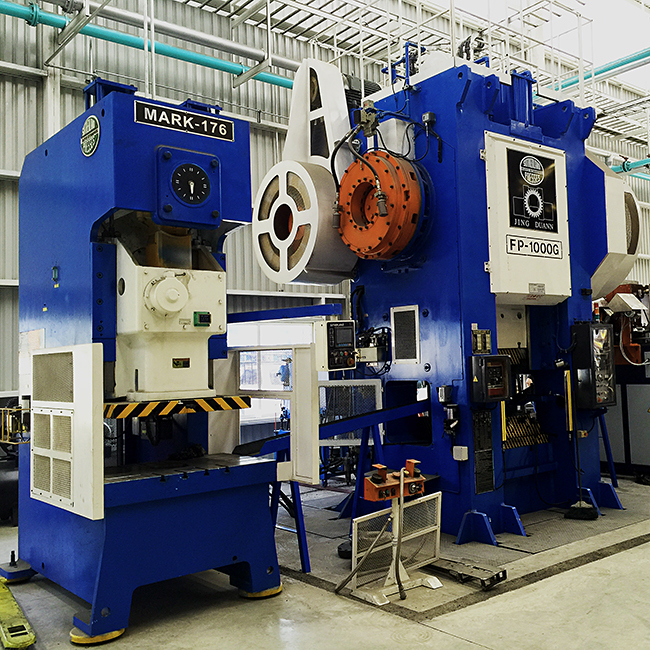 The front-to-back knuckle joint drive provides the high compression and dwell action required to optimize material flow in your dies. The monoblock frames are heat-treated and stress-relieved, and the drive train incorporates a wet clutch and brake. 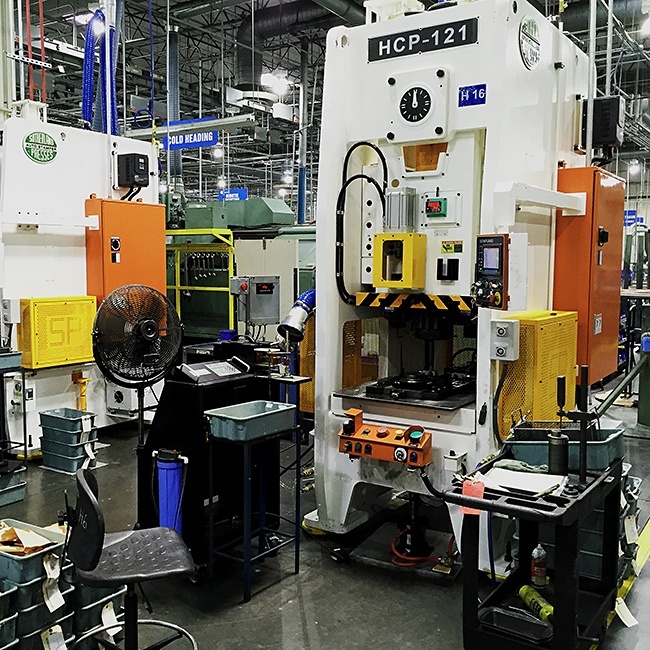 To provide strength and stability, dual pitmans are used with the main drive gear to power the knuckle joint drive train. 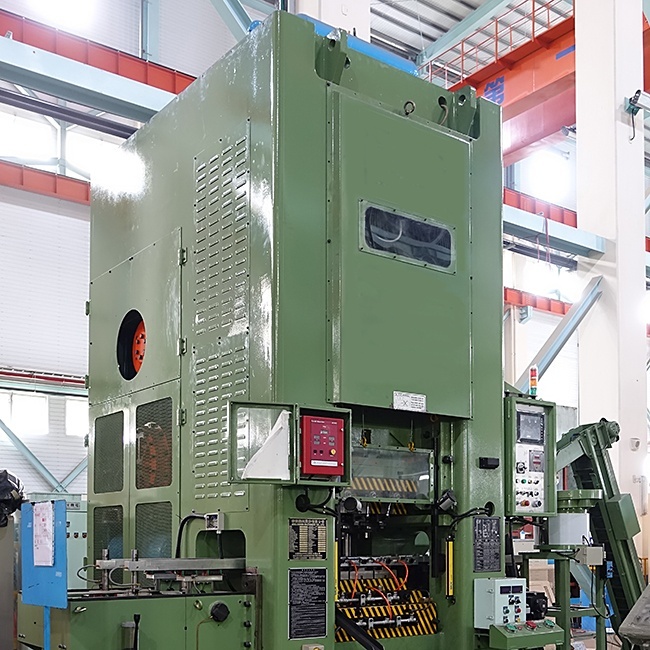 The press also features a patented die “un-sticking” slide adjustment device, tonnage monitor and a centralized lubrication system with alarm. 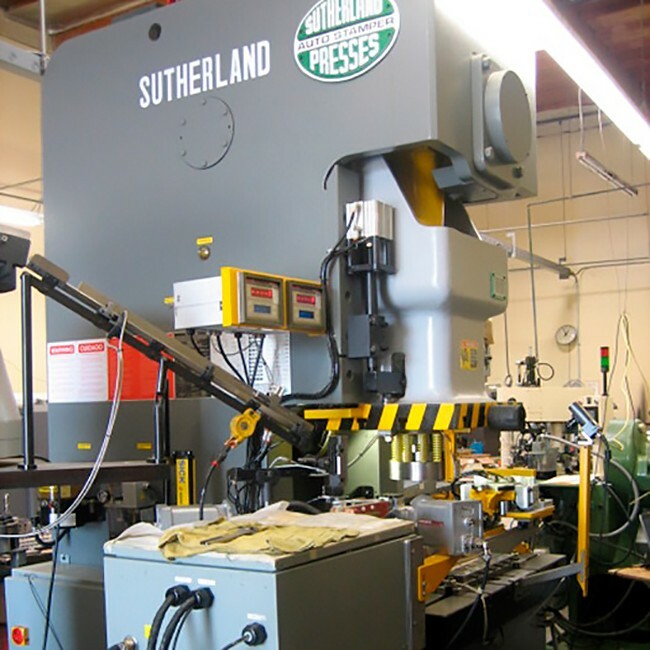 Our line of Trim & Hot Heading Presses, available in Gap Frame or Straight Side, are setting a new standard in the industry. 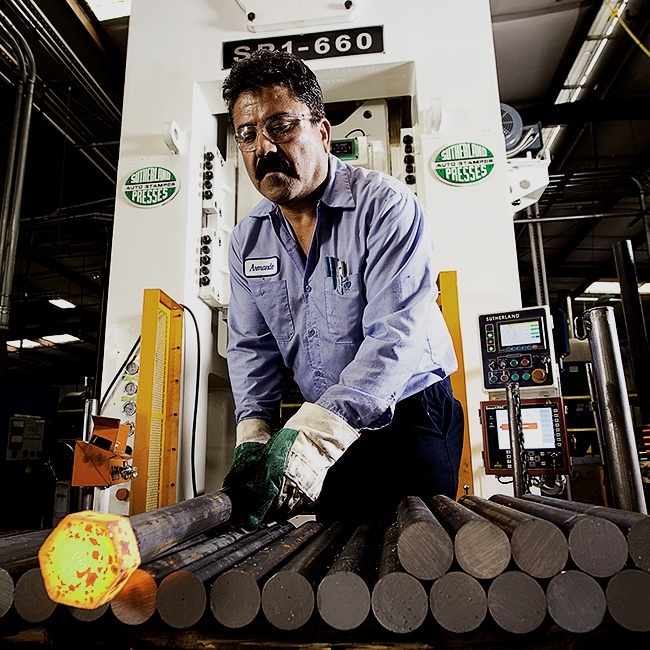 Our unique front loading sliding table design vastly improves production of long and short bolts through ergonomic, purposeful design and flexibility. 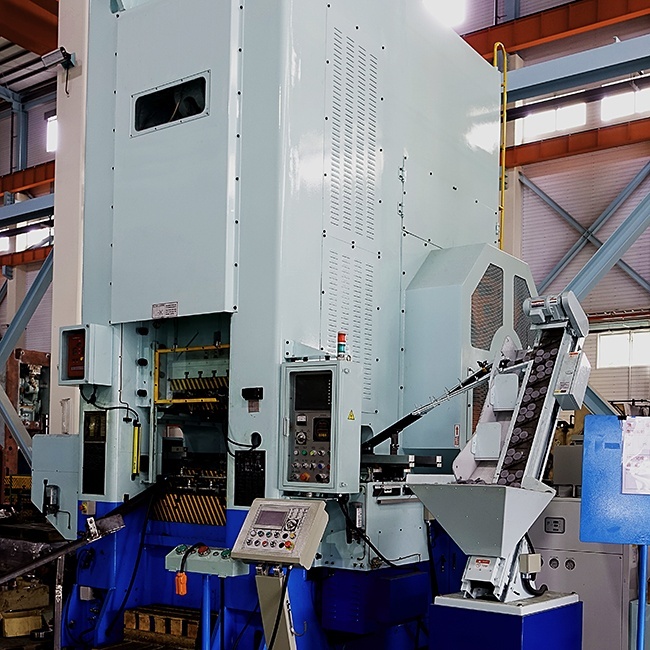 Special custom considerations such heat shields or special cutouts in the bolster and lower frames can be accommodated for conveyor removal of parts or hot scrap.